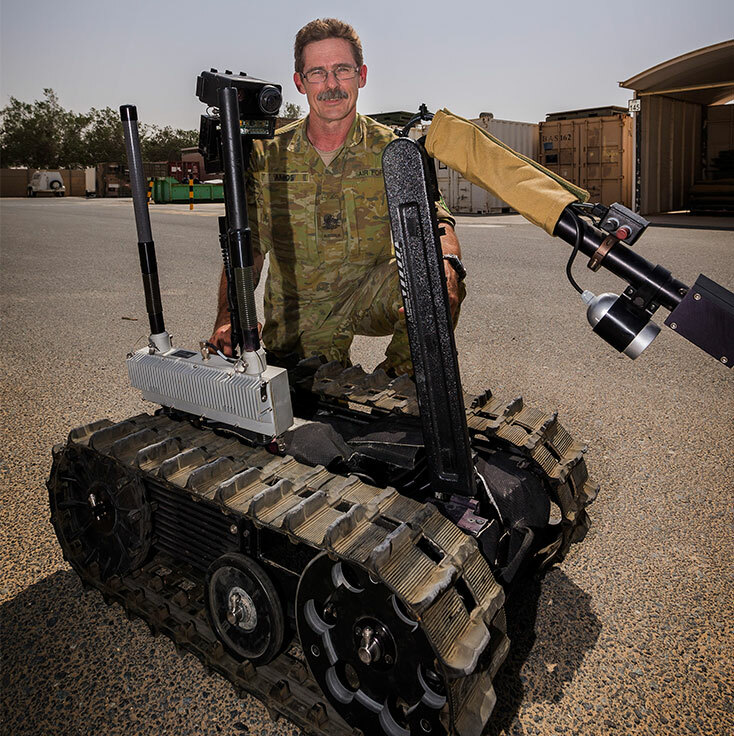 Talon Explosive Ordnance Disposal Robot in the Middle East region. Story and photos courtesy of Commonwealth of Australia, Department of Defence. After 20 years of service in the Royal Australian Air Force, Warrant Officer (WOFF) Rodney Amos couldn’t help but stay on. Now in his 37th year of service, WOFF Amos is on his 6th Middle East deployment, working at Australia’s main operating base in the region, and aiming to hit 40 years before retiring. 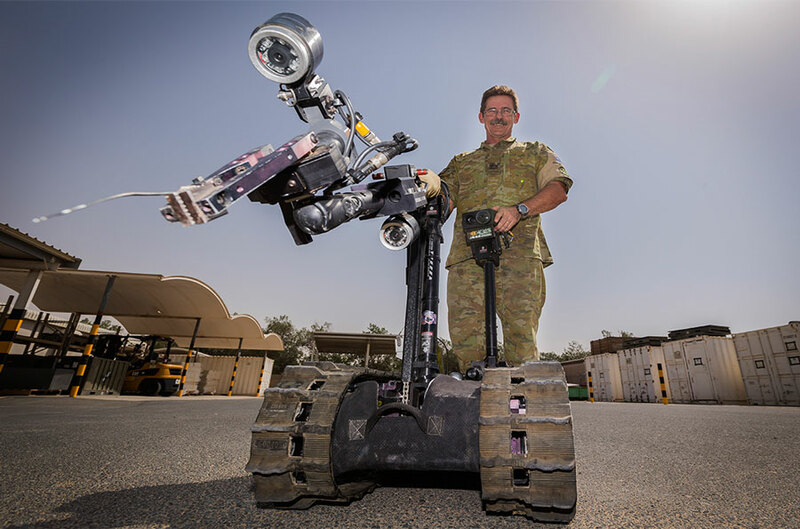 Whilst deployed, he is the Base Armaments Manager, Team Leader of the Counter Improvised Explosive Device Response Team and an Explosive Ordnance Disposal Technician. He will be deployed over ANZAC Day this year.